Want to upgrade your street carburetor to a high-performance race carb, but don't have the means to do a complete carb swap? If you can turn a screwdriver, you can get increased horse power from the new QFT carburetor main bodies. These aluminum main body retrofit kits convert your existing double pumper to an aluminum main body for increased horsepower, torque & airflow. With no air horn, choke tower, or choke control to restrict airflow, they deliver extra power easily and affordably. 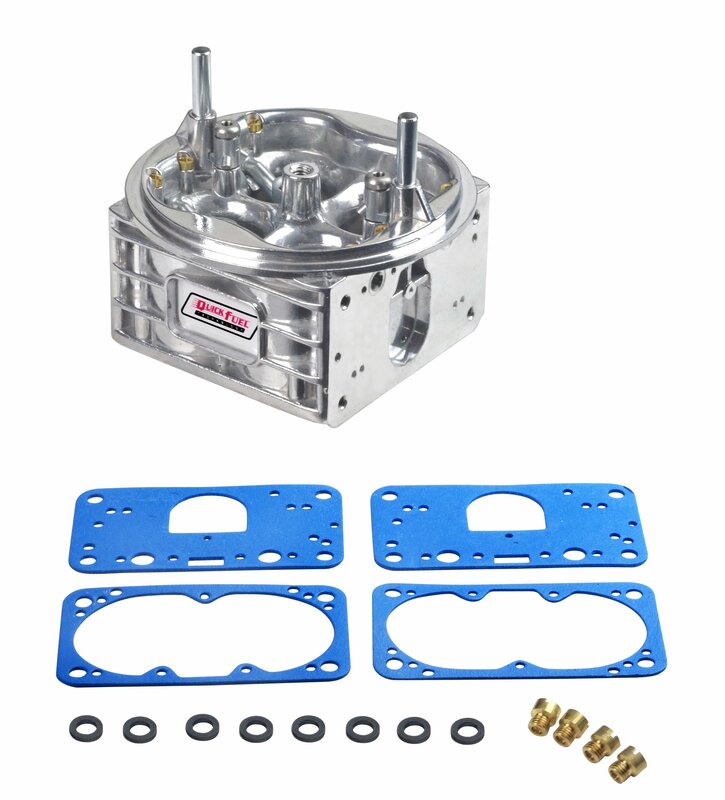 These aluminum main bodies are available in a shiny finish and come complete with all the parts necessary to take your carburetor to the next level!